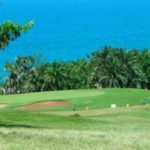 This undulating golf course has a most attractive setting with views and sounds of the Indian Ocean always in the background. 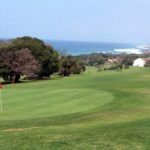 Comparatively short at 5323m it boasts two par 5’s and five spectacular par 3 holes, with the par 4 third hole being the most talked about hole on the course. 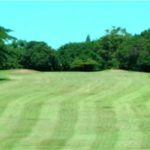 It has the narrowest of fairways with out of bounds on the right and a coastal forest on the left to contend with. 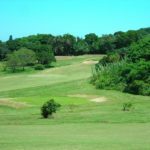 Many a good round of golf has been destroyed on this “white knuckle hole”. 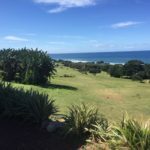 Like all coastal golf courses, Scottburgh can become quite tricky in the wind but one of the most spectacular shots is from the par 4 18th, where one flies the drive over towering trees, into the wild blue yonder to hopefully drop onto the fairway below.